Subcompact SUVs have become increasingly popular due to their unique versatility and style. Compared to the vehicles of other SUV classes, these small SUVs are also incredibly affordable and efficient. This further increases their functionality and makes purchasing one of these vehicles a more viable option. Two popular vehicles in this class that consumers often compare are the 2019 Buick Encore vs 2019 Honda HR-V. Both of these models are stylish, affordable, and versatile. Onboard both of these subcompact SUVs, you’ll find a long list of advanced standard and available features to choose from. As far as differences go, though, there are a few noteworthy points. The 2019 Buick Encore is one of the most stylish models on the market with the perfect blend of cohesive, sleek and compact, while the 2019 Honda HR-V attempts at a sporty design with very sharp and athletic detailing which comes off as over-the-top. When it comes to power the 2019 Encore gives multiple options that are ideal for its build and deliver smooth results, while the 2019 HR-V offers one that won’t match the Encore at its best. The 2019 Honda HR-V does seem to shine in other areas though, such as being a bit cheaper, bigger, and more fuel efficient. Overall, when it comes to cost, size, and efficiency the 2019 Honda HR-V does have slightly higher stats, but when it comes to delivering a powerful performance and stunning looks, the 2019 Buick Encore takes it home. The 2019 Buick Encore offers a 1.4L 4-cylinder engine as the standard engine on all trim levels, however a slightly more powerful version of the engine is offered among the higher trim levels. This provides a higher level of performance compared to other vehicles in the subcompact class and produces up to 153 hp and 177 lb-ft torque. This engine is paired with a 6-speed automatic engine, and is fairly efficient with fuel economy ratings of up to 26 mpg in the city and 31 mpg on the highway. While fuel economy ratings are slightly above average for the subcompact SUV class, the Encore’s other performance class place it at the top of its class. This means that drivers worried about slow acceleration can rest easy and enjoy a responsive and maneuverable ride. The 2019 Buick Encore also offers some of the best warranties on the market, including a 4-year/50,000 mile warranty and a 6-year/70,000 mile powertrain warranty. While this does not directly have an effect on the performance of the 2019 Buick Encore, it does help to ensure that your new vehicle is covered for an incredibly long duration. The 2019 Honda HR-V performs about average compared to other SUVs in its class in terms of performance, however offers above-average fuel economy ratings. The standard engine on the HR-V is a 1.8L 4-cylinder engine which produces up to 141 hp and 127 lb-ft torque. Fuel economy ratings come in at up to 28 mpg in the city and 34 mpg on the highway. Drivers and critics note that when full of passengers the HR-V struggles to accelerate, but overall the ride is smooth and comfortable. If you’re looking for an efficient vehicle at an affordable price, the 2019 Honda HR-V is a suitable option. However, the HR-V does fall short in other automotive categories compared to others in its class, like the 2019 Buick Encore. As far as warranties go, the 2019 Honda HR-V offers a 3-year/36,000 mile warranty and a 5-year/60,000 mile powertrain warranty. While this is about average for the subcompact class, you’re looking at a much shorter duration of coverage than the 2019 Buick Encore. However, both Buick and Honda have proven to be dependable and reliable manufacturers. There’s really no disguising that the 2019 Buick Encore is the clear overall winner of the entertainment category, but let’s check out why. On the base model of the Encore, drivers can experience some of the most premium entertainment features on the market at no additional cost. These include an 8-inch touchscreen display, Bluetooth, a WiFi hotspot, Apple Carplay, Android Auto, and multiple USB ports. Also included is a built-in WiFi hotspot, satellite radio, and a 6-speaker sound system. Drivers can also upgrade to optional features like navigation and a 7-speaker Bose sound system. Compared to other vehicles in its class, especially the 2019 Honda HR-V, this is one of the best standard entertainment suites available. These features are only further enhanced by the Encore’s upscale interior and modern styling. The 2019 Honda HR-V brings it back to the basics, quite literally. The only standard features you’ll find on the base model of the 2019 Honda HR-V are a 5-inch audio display, not a touchscreen display, Bluetooth, and one USB port. Drivers can upgrade to optional features on the HR-V, but this really only brings the vehicle’s cabin up to par with the base models of other vehicles in the subcompact class. These available features include a 7-inch touchscreen, Apple Carplay, Android Auto, a 6-speaker sound system, and an additional USB port. Even considering the low starting price of the 2019 Honda HR-V, this is an incredibly bare entertainment suite. Drivers and critics note that there are several other vehicles at a similar price point that offer more standard features than the 2019 Honda HR-V, making it an affordable vehicle but not necessarily a great value. For its higher starting MSRP, the 2019 Buick Encore still represents a better value than the Honda HR-V. The ideal audience for the 2019 Buick Encore is the driver looking for a more luxurious interior at an affordable price. With one of the most upscale cabins in the subcompact class and its impressive entertainment suite, which features a standard 8-inch touchscreen, the Encore is truly for the driver looking to enjoy the finer things. Of course, the 2019 Buick Encore is still a suitable option for drivers looking for an efficient and safe vehicle with responsive handling. However, what really makes it stand out among other vehicles in its class are its standard and available luxury features, at a not so luxury price. Drivers can also enjoy the reliability of the Buick name and an exceptional warranty and powertrain warranty, which are both above average compared to others in its class. If you’ve been searching for a reliable, safe, and advanced vehicle with luxury touches, the 2019 Buick Encore is the perfect vehicle for you. The 2019 Honda HR-V has an entirely different focus than the 2019 Buick Encore, and is really all about providing only the essentials to ensure that the vehicle remains affordable to a wider audience. Throughout the interior, you’ll likely notice hard, cheap plastics and an incredibly basic design. The base model of the HR-V simply lacks features that are standard among most of its competitors in an effort to maintain low pricing, like its use of a 5-inch display instead of a touchscreen display. However, for drivers that are simply looking for affordability and efficiency, this vehicle does offer both. The 2019 Honda HR-V also offers a long list of available safety features through its Honda Sensing package, making it an incredibly safe vehicle at a low price. 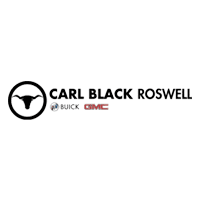 At Carl Black Roswell, we believe in pushing in the boundaries of the automotive market. To achieve this, we strive to offer a transparent and customized approach for each of our valued customers. We won’t make you haggle for the best price on your next vehicle or turn drivers away for challenged credit. Instead, the price you see is the price you get, and we always ensure it’s a fair and competitive one. We further enhance our low pricing by offering regular specials and incentives on our new, used, and CPO vehicles, and even offer flexible financing options for drivers of all credit backgrounds. Our customers can also take advantages of our many conveniences like our on-site service department, online tools, and flexible evening and weekend hours. At Carl Black Roswell, we are dedicated to offering a personalized car-buying process by carefully listening to your needs, budget, and lifestyle. And we’ll use this information to help you find the perfect vehicle on our lot. So, when you’re ready to search for a new, used, or CPO vehicle, choose Carl Black Roswell for an enjoyable purchasing experience.